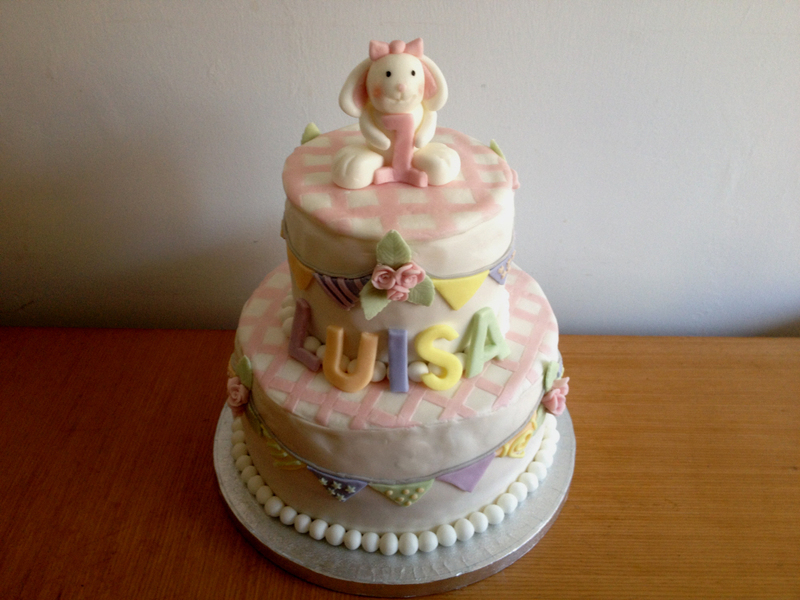 A vintage styled cake with bunting in pastel colours, also decorated with icing pearls, a bunny, pink roses with green leaves and the birthday girls name. The sponge is vanilla with vanilla buttercream and strawberry jam. This cake was made to feed around 30-40 people.